"The combined contraceptive pill prevents pregnancy in three ways, making it a very effective contraceptive choice. It prevents ovulation, thickens the mucus at the entrance to the womb to prevent sperm getting in, and alters the lining of the womb to prevent an egg from growing there." The contraceptive pill contains hormones which prevent pregnancy. It works in several ways to protect you from pregnancy. How long does it take for the pill to work? Can the pill fail to work? In principle, all contraceptive pills work in the same way. They contain hormones which thicken the mucus at the entrance to the womb so sperm can’t enter, change the lining of the womb so eggs can’t implant and they stop ovulation. Different pills contains different hormones but the working mechanism is the same, with the exception that some minipills do not stop ovulation. Minipills are pills which do not contain any oestrogen. They have to be taken within a smaller time frame and unlike combined pills, they are taken every day without a break (whereas combined pills are taken for three weeks per cycle). Depending on the hormones your pill contains it can have additional benefits such as improving your skin. If appropriate, your doctor will approve a pill which suits your needs. However, you may have to try several pills before you find the pill which works best for you. How quickly you are protected from pregnancy depends on when you start taking the pill. If you take the first pill as advised on the first day of your period, you won’t need to use any additional contraception. However, if you begin taking the contraceptive pill at a later stage during your menstrual cycle you need to use a condom or other barrier method for at least seven days. For the pill to work and protect you from pregnancy you need to take it exactly as advised. If you have missed a pill, it may not work. 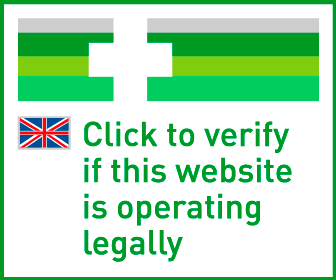 You also need to check whether any other medication you are taking interacts with the pill. This does not only go for prescription medication such as antibiotics but also for herbal remedies and non-prescription medications. Myth: The pill is like an abortion. Truth: The pill is a contraceptive, which prevents that an egg can get fertilised and implant in the womb. It does not work if you are already pregnant. Myth: The pill does not work if you are overweight. Truth: This is incorrect, the pill also works for women who have a high BMI. 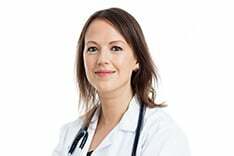 However, women who are very obese or have an otherwise increased risk of thrombosis are often advised to take a mini pill rather than a combined pill. 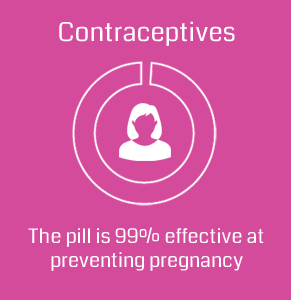 Myth: The pill is for contraception only. Truth: The pill is not only prescribed for the purpose of contraception but it is also used to treat severe acne as well as menstrual disorders. Myth: You can’t get pregnant if you have been taking the pill for a long time. Truth: The pill only works as long as you take it. It does not decrease your fertility in the long term.